Pincushion distortion is one of the camera lens problems that can occur and create undesirable effects in your images. However, it is easy to correct or minimize when you know what to look for and why it happens. Pincushion distortion is a lens effect which causes images to become pinched in the center. Think of it as the effect on a pincushion as a pin is pushed into it: the fabric surrounding the pin moves down and toward the pin as pressure is applied. Another way to visualize pincushion distortion is to look at a piece of grid paper. Push on the center of the paper and notice that the straight lines of the grid begin to curve inward toward the indentation. If you were photographing a tall building with straight lines, pincushion distortion of the lens would have this same effect. Pincushion distortion is most often associated with telephoto lenses, and in particular, zoom telephotos. The distortion will usually occur at the telephoto end of the lens. The pincushion distortion effect increases with the distance the object is from the optical axis of the lens. It is the opposite effect to barrel lens distortion and, like its counterpart, pincushion distortion is most visible in images with straight lines (especially when the lines are close to the edge of the image). Pincushion distortion can be corrected easily in modern image editing programs such as Adobe Photoshop, which contains a "lens distortion" correction filter. Free photo editing programs also offer slightly less sophisticated corrections. Like barrel distortion, pincushion distortion is amplified by the effects of perspective on images. This means that some of this distortion can be corrected in the camera. 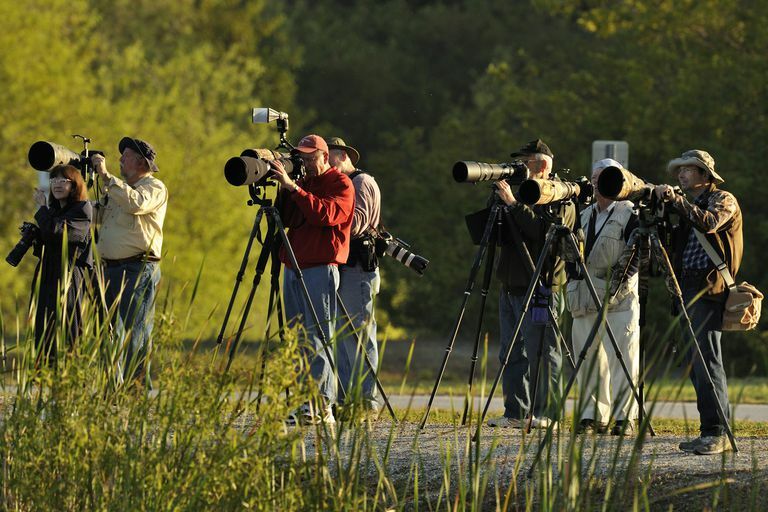 Try to avoid shooting at the maximum magnification of the telephoto zoom lens. Move closer to the subject and zoom out if possible or shoot the image a little wider than you may like and crop in the computer. If you have straight lines in your object, try to keep them as close to the center of the frame as possible. Lines next to the frame's edge will also appear to be more distorted because the frame is a perfectly straight line.